As a Microsoft Dynamics customer, you probably already appreciate the fact that the Microsoft platform delivers an exceptional level of flexibility, value and usability. But how do you modernize your system to take advantage of emerging technologies, new revenue streams and additional sales and distribution channels? Mobility, eCommerce and Business Process Management are just three of the opportunities available for business transformation and innovation. Here are just a few examples of Columbus-developed software that can take your business to the next level. Does your current ERP partner do that? If they're not meeting your needs or expectations it could be time to make a change. Columbus offers post-implementation care to keep your ERP solution exceeding the needs of your business. Three times in the last five years, Columbus has been recognized as Microsoft's top independent software developer globally. 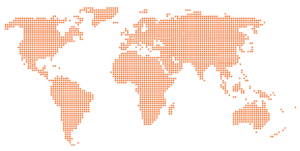 Our software development organization is headquartered in the Netherlands with successful deployments into 1600+ clients in 40 countries. If you're looking for a change, want to transform your business, or your ERP system is in need of a check up, contact us to get a complete assessment and improve overall functionality. Or call us at 888.209.3342. What makes mobile service apps so essential to the crane rental industry today?